Multi colored Tahitian baroque pearls with baroque shaped gold accents pave set with champagne and brown diamonds. 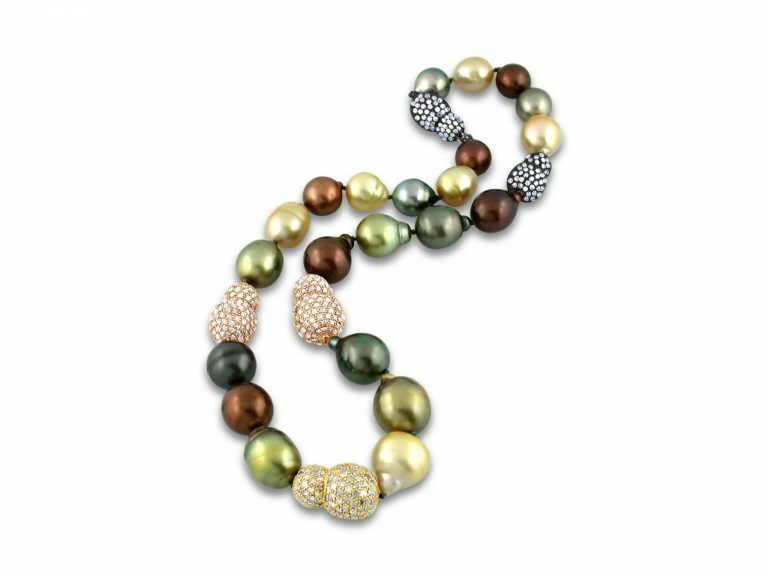 11-14mm pearls with 8-10 carats of diamonds. No two strands are alike. Please contact us to see photos of different combinations in stock.